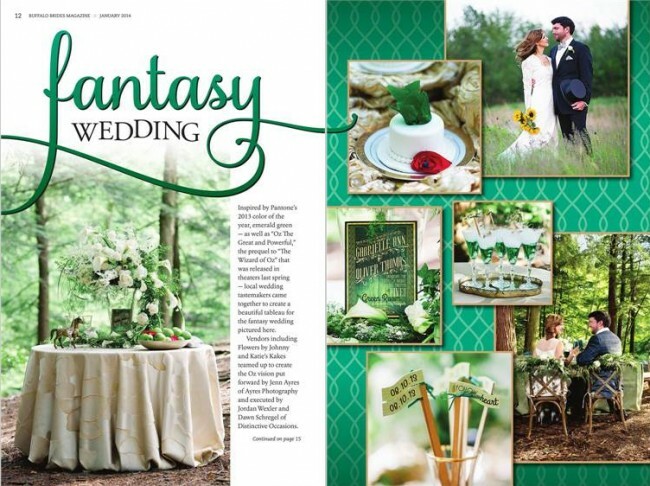 We were approached by our friends at Distinctive Occasions to be a part of a magical, bridal photo shoot inspired by the popular movie “Oz!” We absolutely love when opportunities that give us a creative outlet come about so of course we jumped at the chance! 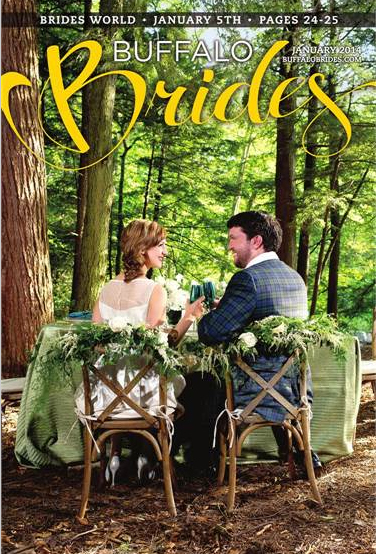 The gorgeous spread was selected to not only be a feature in the January issue of Buffalo Brides, but the cover shot! I think we can thank the lovely gals from D.O.’s and the dream team photographers at Ayres Photographyfor pulling such an awesomely beautiful and inspiring piece together! They totally made it happen! 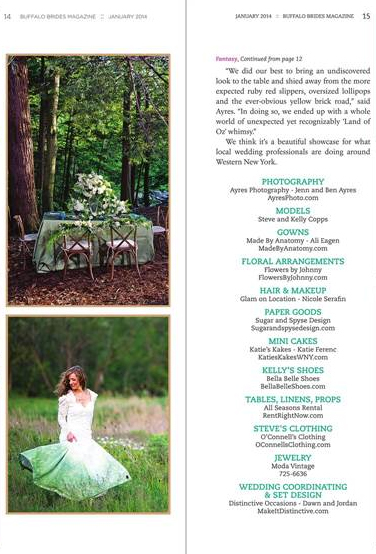 They featured our Sophia dress (above), and the dress we designed and created especially for this shoot! We used a vintage curtain with a burn out chenille floral pattern. With a strong shoulder, the modern neckline is feminine and defined. The bottom is dip-dyed an emerald green to suit the color of (last) year! You can view the entire magazine here ! Thanks to everyone else who helped out to make the photo shoot so incredible!